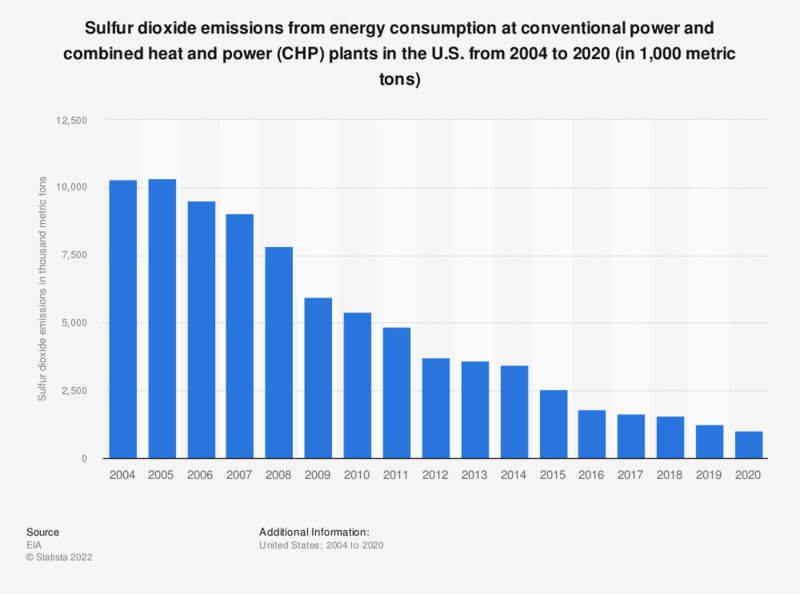 This statistic displays the volume of sulfur dioxide emissions emitted from energy consumption at conventional power plants and combined-heat-and-power (CHP) plants in the United States from 2004 to 2017. In 2017, these plants emitted about 1.66 million metric tons of sulfur dioxide. The emissions data presented include total emissions from both electricity generation and the production of useful thermal output. Figures prior to 2007 are taken from other editions of the report.